Treat yourself like a queen with all the luxurious amenities built into the 60 x 60 RN soaking tub. 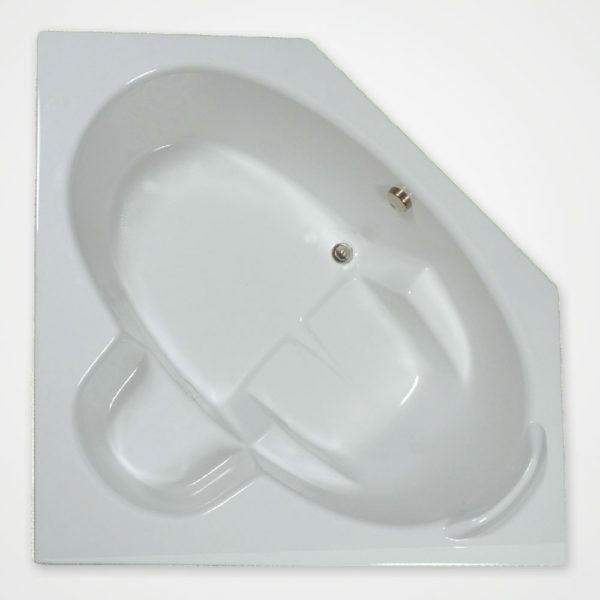 Designed to slide right into a corner, this tub is specially made for one person. The molded seat, lumbar support, and head and arm rests are befitting of a throne you can sit back in and wash away the cares of running a busy life. A built-in vanity seat is the perfect perch for shaving your legs. The top deck has ample space for installing a tub filler with faucets and a hand-held showerhead, still leaving room for lush bathing products. An oval bathing well adds beauty and reaches from corner to corner giving you abundant room to stretch out your legs.